Every piece is hand thrown and hand decorated. Because we fire two times a year, the throwing cycle is long. This allows me to delve into a particular shape and really explore the decorative options. These decorative techniques range from brush, slip trail, carving, underglazes, layered slip and glaze, and the beauty of the bare clay in the kiln. 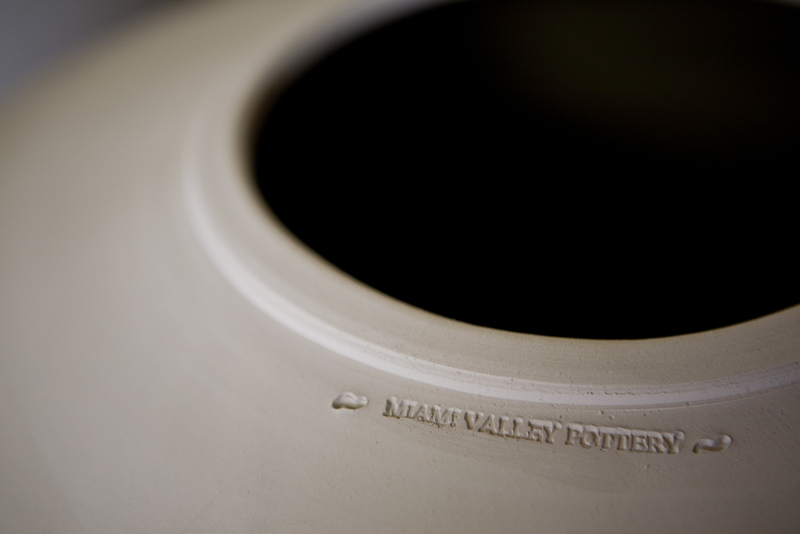 I was trained as a production potter, and because of the size of the kiln, we can fit a lot of pots in each kiln load, and receive feedback twice a year. Enjoy the pictures and video! After all the pots are glazed, decorated and loaded into our 450 cubic foot wood-kiln. It takes roughly 2 weeks (14 full days) to load all of the pots into the kiln. A team of 20-30 people then feed wood into the kiln for five straight days and nights (around the clock in the last 24-36 hours) in order to reach the optimum firing temperature of 2400 degrees. The wood consumed by the kiln burns and deposits ash on each pot, eventually melting and making the outcome of each piece unpredictable, yet unique. Each firing brings new ideas - and for every firing we choose a different theme to focus on and explore, whether it be working with glass, faceting, or different styles of decoration. This means that no two firings are exactly the same. And our work continues to evolve! Read about Our Kiln and see more images here. Please sign up to our Mailing List, and of course, always feel free to Contact Us.